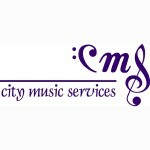 City Music Services specialises in the promotion of work-life balance through musical performance within City firms. CMS are market leaders for facilitating and producing fundraising musical performances, bringing together employees from City firms and professional musicians, providing them opportunity to perform at some of the UK’s most prestigious venues. If you are considering setting up your own choir, CMS can offer workshops at your offices and give you guidance on how to develop your singing and performance skills. For more information, please click on the link below.